No wonder the number of cyclists is growing rapidly from coast to coast. The National Household Travel Survey showed that the number of reported trips has more than doubled since the first survey, from 1.7 billion in 1990 to 4 billion in 2009. 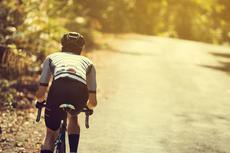 Choosing a bike can be overwhelming if you’re new to the sport or don’t have much experience. The options seem endless. Most people would be inclined to buy a more expensive ride because they think that the more costly something is, the better quality it has. This is not always the case. People who are just finding their cyclists legs don’t have to splurge, especially if they are not sure they are going to stick to their new hobby. What’s the point of spending close to $1,000 or more if you’re only hitting the road once or twice a month? The best bicycle depends on what kind of biking a person does. Regardless of what your reason is to look for a low-cost set of wheels, consider your specific needs and keep versatility in mind.